BROOKINGS, S.D. 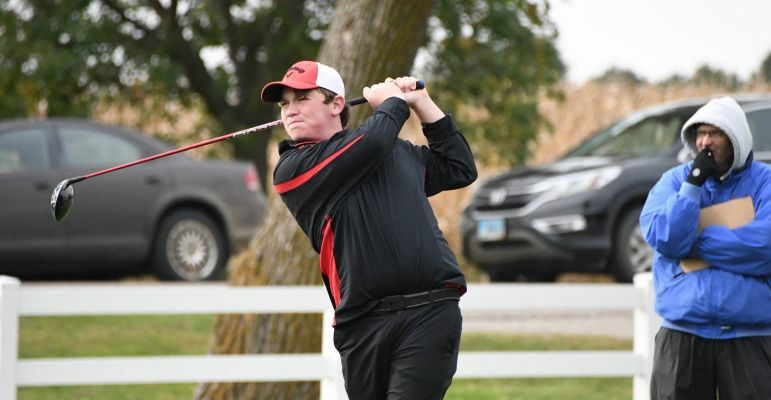 - Rapid City Stevens leads after day one of the Class AA Boys State Golf Tournament in Brookings. The Raiders ended day one of the two day tournament with a low score of 302. Sioux Falls Lincoln is in second with a 307 and Spearfish was third with a 312. Sturgis was sitting in 12th. Individually, Adam Salter sits in first place with a 71. Jackson Faber of Brandon Valley was second. The top placing Scooper after day one was Tice McVey, sitting in a tie for 17th. At the Class A Tournament, Dakota Valley leads the team title with a 343, three strokes ahead of second place Tea Area. Brock Murphy of Tea had the individual lead after day one with Nate Nielsen of Sisseton in second.